A musician from City, University of London has composed new sound works based on recordings of him and his collaborators sat in their living rooms. Dr Tullis Rennie, of the Department of Music, describes Muscle Memory as “part autobiographical docu-music, part jazz-inspired dreamscape”. The record features two pieces, each of them beginning on the sofa in the house of a collaborator. Both works feature musical conversations that merge with electronic compositions, creating sounds that encourage the listener to be a collaborator. 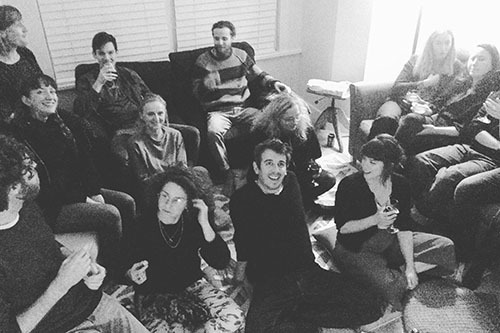 Dr Rennie, a Lecturer in Music, said: “The new record begins in living rooms – listening to and talking about music with the collaborators – because this was the origin of our friendships. Dr Rennie joins one collaborator Matthew Bourne in his idyllic Yorkshire hilltop live-in studio and his second collaborator Graham South in his Manchester red-brick front room. As described in The Wire magazine, the record is available as a limited numbered vinyl-only release from November 2017, celebrated with a pre-release listening tour of intimate and domestic spaces. “It made sense to present the final pieces in their natural habitats – thus the tour of living rooms,” said the City composer, who is an improvising trombonist, electronic musician and field recordist. “Manchester was particularly special, as we presented the record at Graham’s house, in the space where the whole project began. 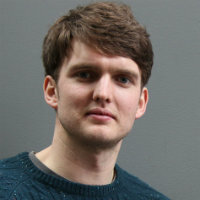 Dr Rennie drew in particular from his research into compositional methods which approach a distribution of authorship – including his Walls On Walls projects with community groups and published articles on self-narrative in field recording.